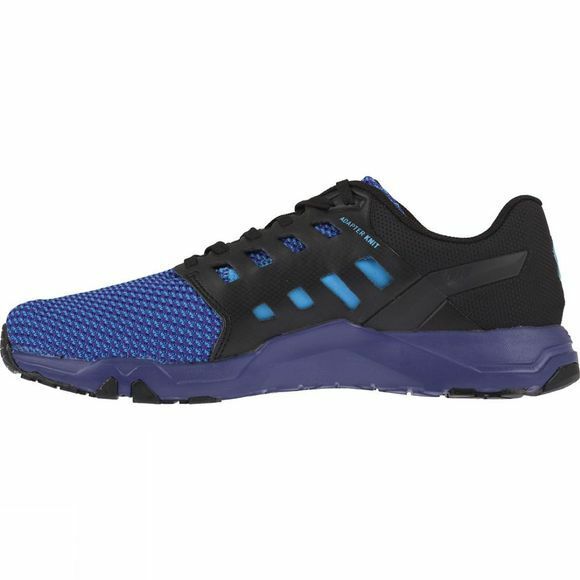 Boasting a new knitted upper fabric that gives a natural, ergonomic fit, the ALLTRAIN 215 KNIT training shoe delivers superior comfort, stability, power, lateral support and now enhanced breathability. A truly versatile shoe that really does do it all, both inside and outside of the box. Grip for fast movements: Combination of hard and soft sticky rubbers. Hard in areas of most wear, thus enhancing durability, and soft positioned in areas where maximum grip is required. Agility: The outsole’s geometric design is built with triangular claw-cleat shapes in multi-directional placement for traction when moving in every direction. Propulsion: Fusion rubber midsole delivers energy return, while the META-FLEX groove at the forefoot gives the flexibility to explode with speed and power. 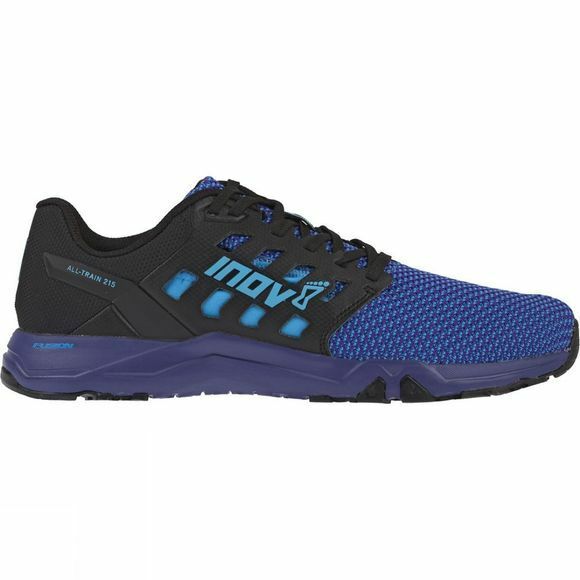 Power and stability: A firmer platform combined with an External Heel Cage gives power, stability and support when lifting weights or doing squats. Go fast: ADAPTERFIT Met-Cradle adapts to the natural movement and swells with the foot in motion. Elastic mesh liner hugs foot like a glove for increased comfort and support. Stay protected: Welded rubber toe bumper protects the toes when doing burpees or other movements.